Come to our award ceremony on October 10th 2018! Innovation Prize 2018 – Yes you can! For its 10th consecutive year, the Innovation Prize will reward the most promising projects in the field of healthcare (Biotech, Medtech, Digitech). The competition is open to both young start-ups (<8 years old) and academic research groups. In 2017, it attracted more than 260 participants from 31 different countries, thus becoming a major event in the life science sector. 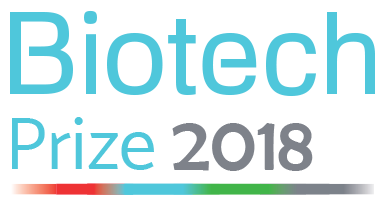 Once the selection process over, a laureate will be chosen among each of the following technological domains related to the healthcare industry: Biotech’s Innovation Prize, Medtech’s Innovation Prize and Digitech’s Innovation Prize. The biotechnology market accounted for 7% of the pharmaceutical industry’s market in 2006. Today, it provides the best growth potential to the biopharmaceutical industry while modifying the landscape and issues of this sector. Whether it deals with biologic or chemical compounds, involving new mechanisms of action or being presented as an incremental evolution, biopharmaceutical innovation is carrying new hopes for diseases’ prevention and treatment. Since 2009, the Innovation Prize aims to identify and promote these discoveries in order to boost their development by supporting them along the road to success. With more than 500 000 different medical devices, the Medtech sectorshares a common goal between its innovations: increasing the length and improving the quality of life of patients. This booming sector has been valued at $ 100 billion worldwide with a provisional annual growth of 5% until 2020. The Innovation Prize, by assessing these promising and innovative technologies, offers the opportunity and the chance to their project leaders getting a concrete feedback from expert jury members from institutional groups and private companies. The digital revolution through both the dematerialization and the rise of numerical reshapes the healthcare sector’s landscape. With digital, this sector is experimenting deep modifications impacting relationship between laboratories, practitioners, patients and organization itself, allowing the healthcare industry to become a true partner throughout information and training. For this 10th edition, Universal Biotech chose to reward this category by including it to the Innovation Prize together with biotech and medtech projects. Applications submitted in the categories of Biotech, Medtech, and Digitech will be selected after 3 evaluation rounds from May to October. Among each category, the most innovative project will be awarded during a special event on October in Paris, France. • Optimize their Business Plan.